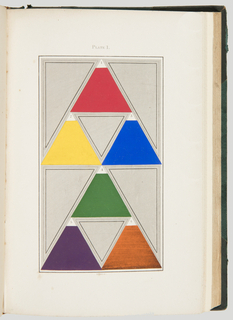 See more objects with the tag watercolor, brightness, color standards, color nomenclature. This is a Book. 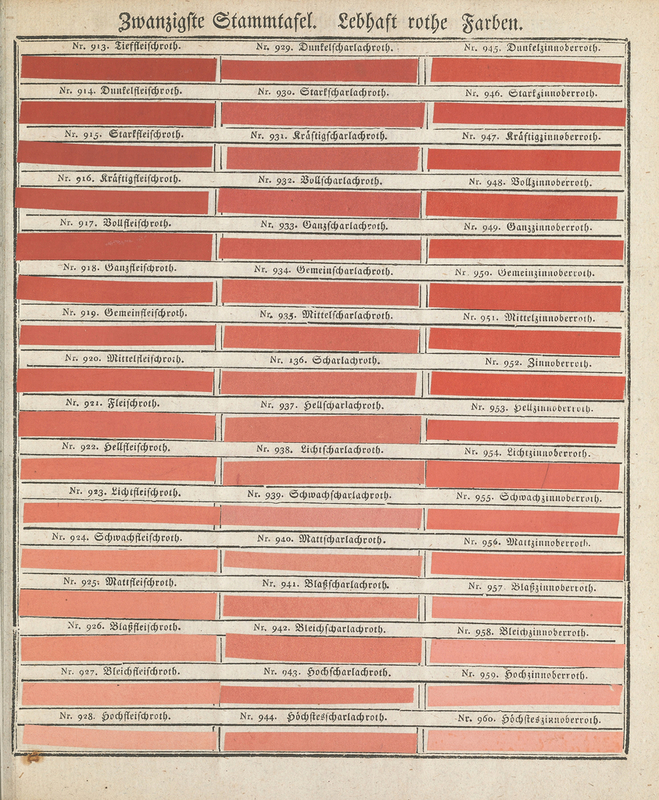 It was published by Johann Ferdinand Ritter von Schönfeld. 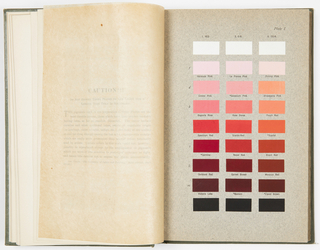 One of only four known copies in the United States, this early manual on the preparation of colors contains 2,592 hand-colored natural dye specimens. Organized according to color starting with black, it includes color recipes along with details on how to apply dyes to silk, cotton, wool, leather, wood, bone, paper, and many other materials. 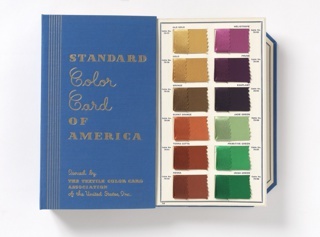 It is credited Gift of Virginia Hamill Johnson, Smithsonian Libraries, QC495 .W64.